These are lyrics by Roxy Music that we think are kind of repetitive. How much "cry"-ing is there going to be? The chorus is repeated over and over again. This song is from the excellent "Manifesto" album. 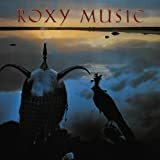 Roxy Music's, "Mother Of Pearl"